Sure, this entry is "merely" an expansion to last year's best game, XCOM: Enemy Unknown, but it was still one of my most anticipated video game releases of the year. Thankfully it lives up to my expectations. Enemy Within adds enough content to give even those that squeezed every last second of play time out of Vanilla XCOM reason enough to sink in another batch of hours. Still asking why is Enemy Within is a worthy addition? 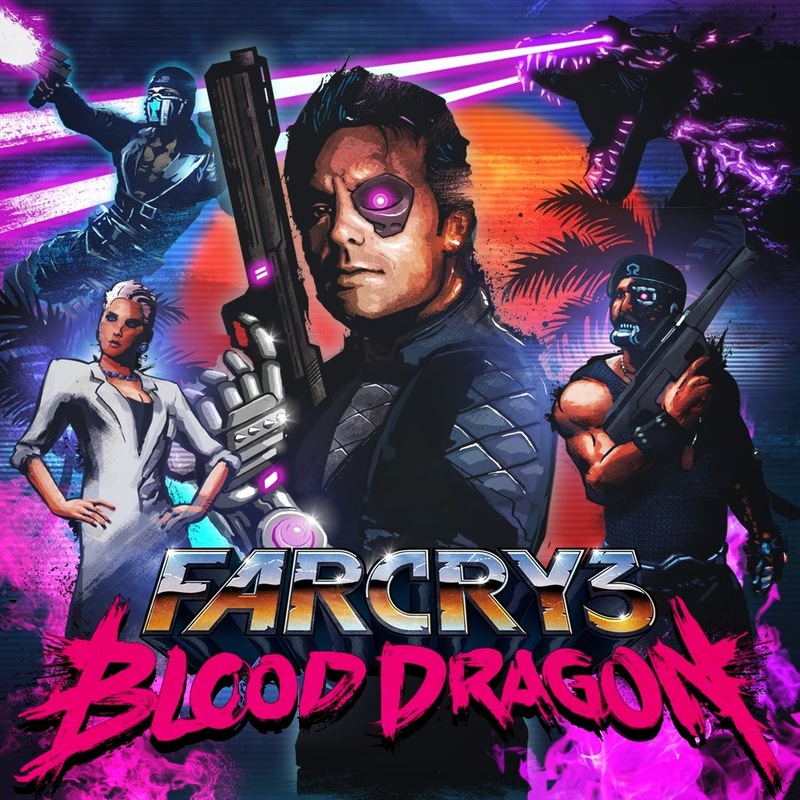 Not only does it include new enemies, new missions, new maps, new items, and more story, but it allows you to soup up your squad with new abilities, the likes of which give them chameleon skin and the ability to jump large buildings in a single bound. Most importantly though, Enemy Within allows you to cybernetically augment your soldiers to have power armor. When you add mechs to one of my favorite games it gets even favoriteier. Proper typing form never struck me as particularly important to learn, and then came Typing of the Dead, a revamp of House of the Dead 2 that replaced the light gun with a keyboard. A brilliantly quirky idea that by all accounts should have been a one time deal. An idea that was suddenly and surprisingly given new life this year when Typing of the Dead: Overkill was released out of nowhere. There was no announcement of the game's release. No hype. No fanfare. Just all of a sudden the game is available for purchase, and purchase I did. The difference between TotD:Overkill and the original TotD is the game the typing is placed over. The original was a game full of hilarious bad voice acting, but Overkill is full of self-deprecating humor. Other than that it's more or less the same thing, which is OK in my book. Even if you're tired of zombie game,s pick up Typing of the Dead: Overkill and remember what makes them so fun to kill (hint: it's typing dirty words to shoot them in the head). Look for it on your favorite digital distribution platform. Is it even a game? Sure, why not. 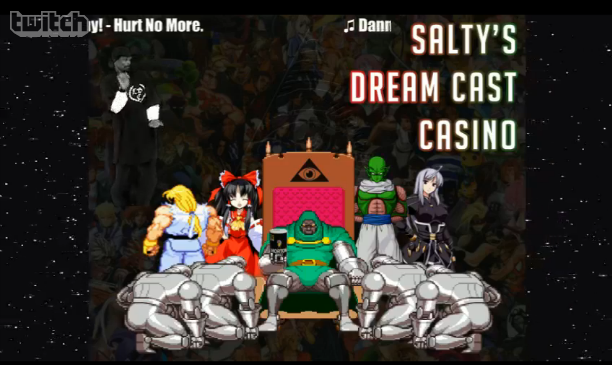 For those not in the know, Salty Bet is a stream where two AI players use randomly selected characters in the M.U.G.E.N. engine while the human players bet virtual money on which character they think will win (check it out here). This means the player actually watches a contest between two computers, and perhaps that makes it the ultimate anti-game and puts critically acclaimed looking simulators like Gone Home to shame [I HEARD THAT - Jake]. Salty Bet is a bizarre experience where matches are simultaneously hilarious in their absurdity and absolutely terrifying as you watch all of your salty bucks disappear in a flash. It's a phenomenon like no other as the range of characters is seemingly limited only by the imagination (or lack thereof) of the online community as it takes advantage of nearly every character created for M.U.G.E.N., so you wind up with ripped character models from other games to crude MS Paint drawings. The matches vary just as much as fights could be. Seemingly real balanced fights take place, absolute one-sided annihilation as someone's ridiculous (some might even say Mexican [Mexican in Salty lingo means unbalanced and overpowered]) pet creation commits war crimes on helpless victims, and then there is the dreaded "potato fight" where two computers that are a bit touched in the head have a fight about as awkward as I am in social settings. Jake once asked if it was "anime wrestling" to which I responded it is "fictional character Thunderdome" with an added betting element. Funny fights are punctuated by the bettors' contradictory rules in regards to betting (always bet Dragon Ball Z vs. never bet Dragon Ball Z). My personal rule of thumb when it comes to betting is just bet for your favorite character. Will dreams.exe finish installing or will you find yourself back in the salt mines? I'm going to take a bold stance that'll probably invalidate my opinions to the public at large and say I unequivocally love Dynasty Warriors. Virtually murdering hundreds of dudes in the span of a couple minutes with flashy combo attacks relieves stress like nothing else, and that's what Dynasty Warriors 8 does with unmatched excellence. Everything I like about the series is present in this release, but there are some welcomed new features as well. The biggest addition is rock-paper-scissor type of system that reduces the tedium involved when fighting enemies that don't stop blocking. Those that never understood the appeal of the franchise won't change their minds due to DWar8, however their stances might soften a bit as gameplay tweaks add some needed freshness to the series. Games that change the way we think about videogames are great, but sometimes I just need a simple game that knows exactly what it is. 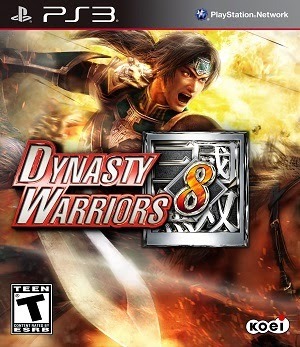 Dynasty Warriors 8 is my favorite game of the year because I can revel in the the escapist fun provided by 80+ unique characters fighting hordes of nameless enemies for hundreds of hours.